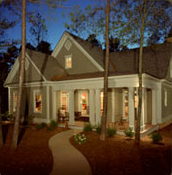 The Callaway Gardens Living web site does not collect information about you without your knowledge. You may browse our web site anonymously. We collect only the information you provide when you register for more information. The information gathered for the purposes mentioned above is needed to properly handle your request. We do not share, sell or distribute this information with any other company or individuals. After providing your information to us, you may receive an email from Callaway with a special offer based on your indicated preferences, or an offer to receive our periodic email newsletter. All of our communications contain an opt-out link that allows you to have your email address removed from our electronic mailing list. At any time you may email an opt-out request to optout@callawaygardens.com. Links to other sites are included within our web site. Please be aware that these sites are not under our control. While every effort is made to ensure these sites are appropriate and accurate, Callaway is in no way responsible for the content of these sites. These sites have their own privacy policies, so it is advisable that you review these policies prior to providing personal information to them. 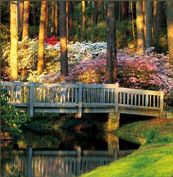 See what people are saying about Callaway Gardens. �QuinnTerra Realty Group 2018. All rights reserved.